We are delivering to Winter Produce and Egg Share members today (Tuesday) and Thursday. Winter Produce Shares are packed into wax boxes for protection from the winter weather. Please return any CSA boxes you may have so we can continue to reuse, thank you! *All items are grown / produced by our farm unless otherwise indicated. Often we hear you should "know your farmer" but why is this important? There are innumerable reasons! One of them is that we believe you deserve transparency and honesty in your food. By better knowing the faces behind your food and what they believe in, our food system maintains a higher level of integrity. We'd like to introduce you to our friends whose products appear in shares this week. For those not receiving Winter Shares, you may also see these producers (and others) products throughout the growing season. One of our mentors and friend the farm, Linda Weins, made the Foraged Harvest jam included in winter shares. Born in Germany, Linda is a Canadian citizen who first came here as a consultant to the Prairie Crossing developers. She's is a valued Senior Advisor for the Liberty Prairie Foundation (our landowners) offering strategic expertise on programs. 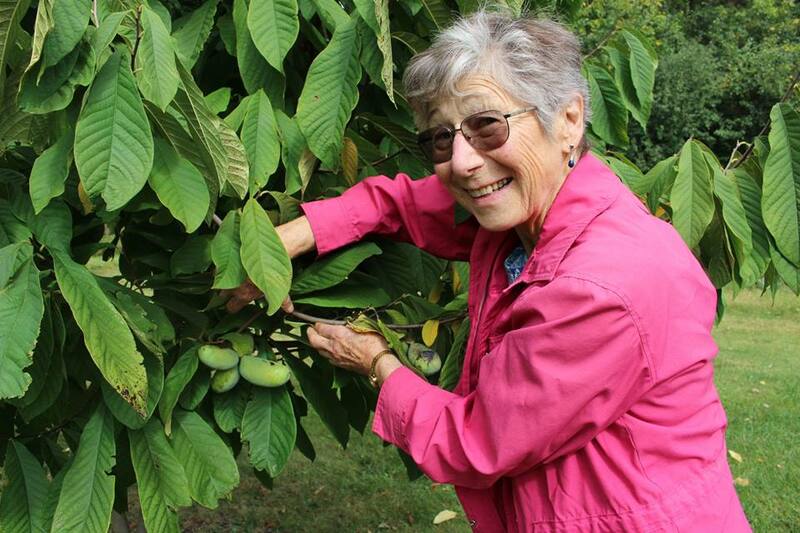 She's also manages the Prairie Crossing community garden, leading lifelong learning workshops in home cooking and preserving, and she maintains the small fruit orchard at the farm as well as the neighborhood's edible landscape nearby. Her jams are homemade from foraged fruit from these orchards, as well as fruit from the Klugs and its low in sugar. The jam is a delicious addition to yogurt, toast or as a spread alongside soft cheeses (e.g., chevre). You can find her jams year-round at our farm's honor box farmstand. This week's shares include a special Oaxacan Green Dent Cornmeal from our friends, Molly and John Breslin of Breslin Farms, in Ottawa, Illinois. Breslin Farms is a father-and-daughter operation growing certified organic row crops on the family farm. Since 2019, the Breslin's have concentrated on small grains and dry beans, using heirloom varieties and saved seeds. Oaxacan Green Dent corn is a newer crop addition for the Breslins. 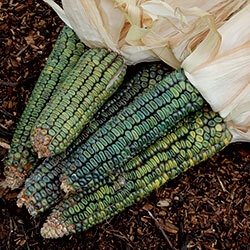 This corn is a variety that originated in Mexico where growers would grind its kernels for green flour tamales. The Breslins worked with the Seed Savers Exchange and their test farm in Iowa to source seeds adapted for a midwestern climate while holding true to its signature gorgeous emerald green kernels. Their crop was a successful one which they are now milling into a variety of forms (e.g., cornmeal, polenta). As they look towards planting season, John Breslin communicates with Oaxacan farmers about corn varieties and cultural farming methods. The flavor of the cornmeal is slightly sweet, and can be used in the same ways as you usually use cornmeal. 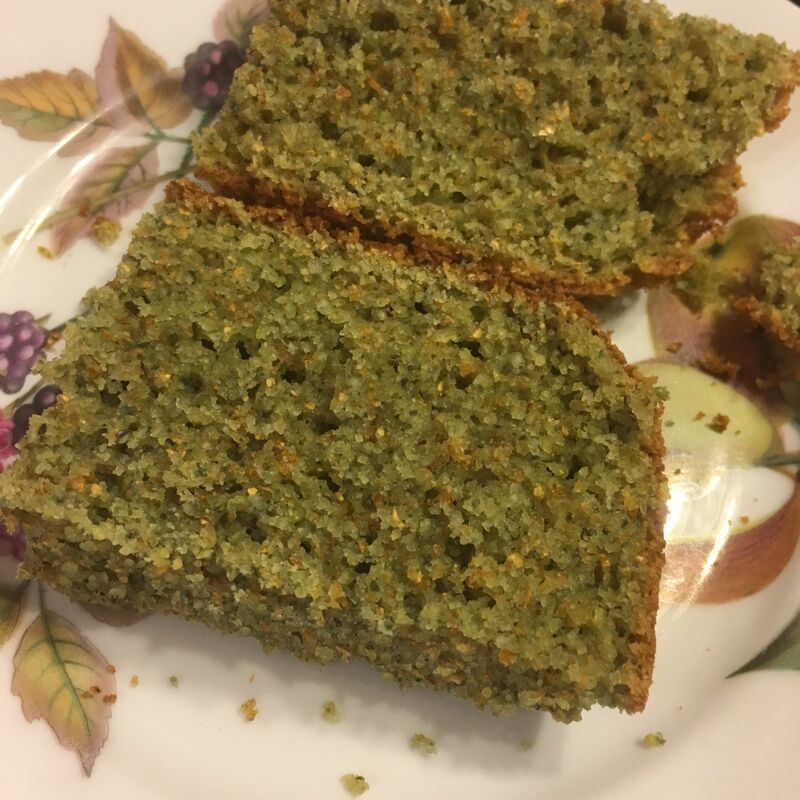 You'll likely see the green color come through in a cornbread (pictured), although the color largely disappears in long fermented breads. Molly recommends adding a handful into pancake or waffle batter. The whole-grain cornmeal includes the germ, which adds considerable fullness of flavor, so your cornmeal should be kept refrigerated. You can learn where to find the Breslin's products on their website. 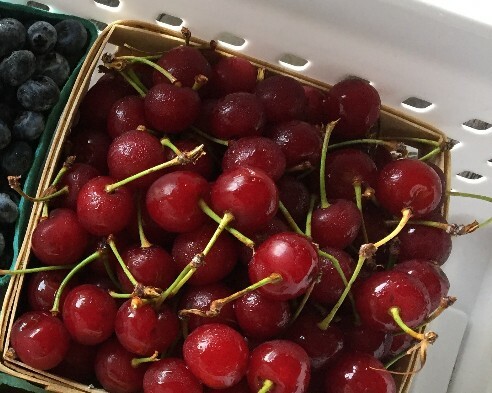 We are proud to offer fresh fruit year-round, including frozen tart cherries, grown by Mick Klug Farm. Mick Klug grew up on a 40-acre farm in St. Joseph Michigan his parents established in the 1930s. He took ownership in 1974, and has expanded the land to over 120 acres. His daughter, Abby and husband, Mark, as well as Mark's brother Ben and wife, Bae, work together to produce delicious fresh fruit for our CSA as well as restaurants, co-ops, farmers markets and wholesale customers. 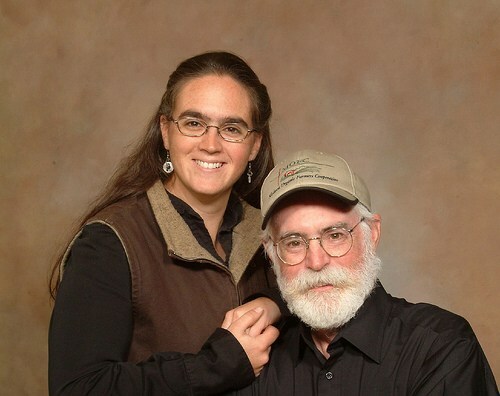 The Klugs are committed to sustainable agriculture and promoting locally grown produce. 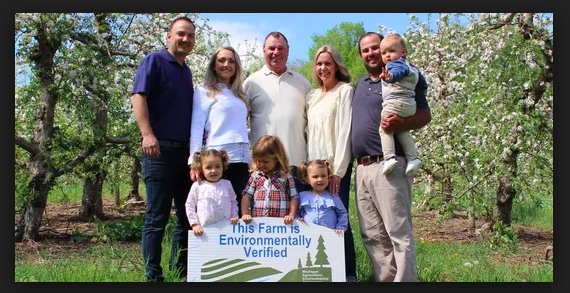 Their farm is MAEAP (Michigan Agriculture Environmental Assurance Program) verified for their cropping and farmstead systems. The Klugs fruit is available via our Fruit Shares and farmers' markets in Chicago. We continue to work with sustainable farmers throughout the growing season. 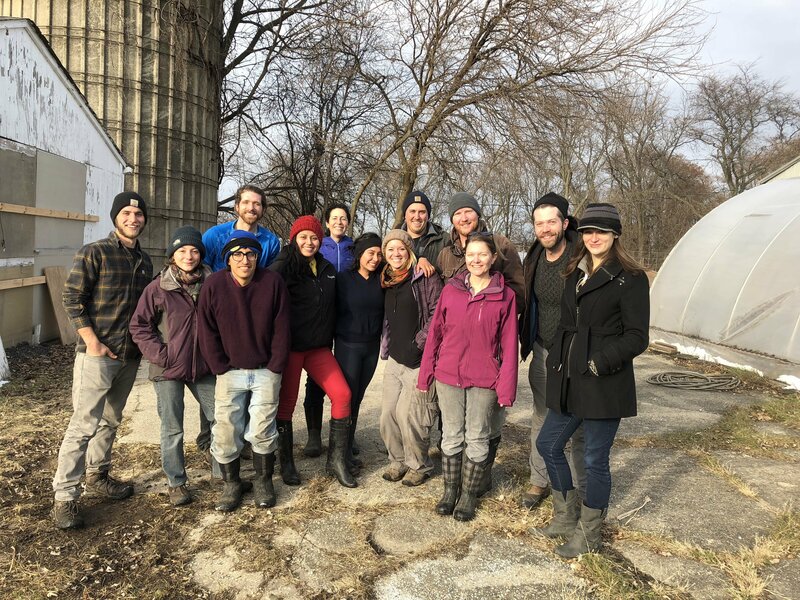 We do this in an effort to support their farm businesses, introduce you to interesting regional foods and do our part to share the stories of sustainable farmers in our region. Watermelon Radish, Orange and Goat Cheese Salad - Thank you, Linda H. for recommending! Next Share's Harvest (our best guess)...carrots, frozen bell peppers, mushrooms, tart cherries and more!